Mattar paneer is a vegetarian dish of cottage cheese and green peas in tomato gravy very common in Northern India. 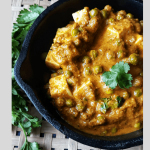 Also called matar paneer and mutter paneer it is a popular dish much enjoyed in the winters when the peas are fresh and the paneer is soft and delicious. Stop at any dhabha ( a truck stop) in North India and enjoy Matar paneer with naan, roti, poori ar even paratha. But we love it best with rice or the Goan Pao. Green peas are something we enjoy a lot. Hubby’s idea of Sunday is peeling some peas, more like eating the tender ones and the not so tender are collected for me to cook. The mutter paneer here you can be used to make aloo matar also only cook your potatoes before you add the peas. The main ingredients in making matar paneer is green peas, paneer, onions, tomatoes, cream, cashew nuts, cumin, garlic and ginger. Grind all the ingredients marked for grinding in the mixer and grind to a very fine paste. Set aside. In a thick kadhai/wok heat the oil add the jeera/cumin and let it splutter. Add the ground masala paste and sauté for 5-10 minutes on medium to low flame till the oil separates from the ground masala. Since the stuff splatters a lot I used a lid and partially covered the masala. Add the dry masala powders and stir well till the masala are incorporated in the masala. Next add the peas, water (about 1 cup) and salt. Mix well. Cover and cook till the peas soften. Add more water if needed the consistency should be neither too thin nor thick. I prefer to add less water then adjust the consistency. Add the paneer/cottage cheese cubes and boil for a minute or 2. Remember the paneer/cottage cheese hardens on cooking for a longer period. Adjust the seasonings and then garnish with chopped coriander leaves. Serve hot with chapatti, roti, pulao. A classic winter recipe, well presented. I almost prepare similarly sans the Everest Kitchen King masala. The pictures look fantastic Archana, I love this gravy. Shelling fresh peas brings back memories. My mother used to add peas to everything too. Your mattar paneer looks perfect. Reading your post reminds me of bag of green peas in the fridge that needs to be peeled. Anyway, matar paneer looks creamy and delicious. Nice, easy dinner dish. 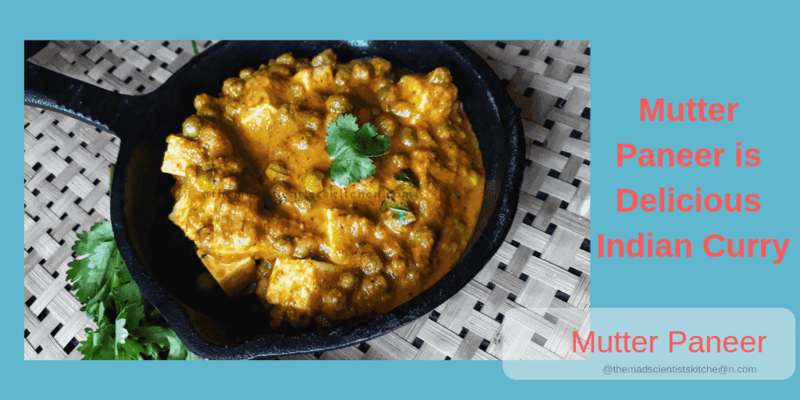 Matar paneer is one of the favourite curries at home. I just need a few rotis to finish it. 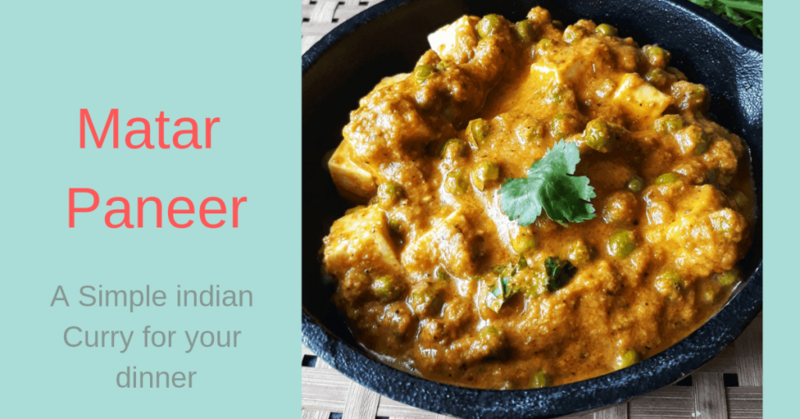 Love the creamy and tasty matar paneer, just the way we make it at home. Super delicious dhaba style mattar paneer , sounds so flavourful and creamy , I can polish off any dhaba food with nice hot rotis . The list of green peas recipes is quite impressive Archana. Love this matar paneer. If looks absolutely yum. Mutter paneer is such a classic dish. Creamy and delicious. Love it with some roti or naan. It has been ages since I peled fresh peas. I am sure it enhances the taste of mutter paneer. Aww so sweet of you Mir. I wish I was as adventurous as you.